Hi everyone! Boy, has it been kinda hard getting back into the groove this week! We started our Poetry unit on Monday when we started back to school and I thought I'd share a little about what we are doing. On Monday, we discussed what we thought of when we thought of the word poetry and how we thought poetry was different than other things we read. Then, we listened to three different poems about rain that are in our Houghton Mifflin reading series and discussed our visualizations while listening and the descriptive language used in the poems. Wednesday, I used one of the graphic organizers from my Reading Literature Graphic Organizers Pack and read a poem from one of my favorite poetry books, Giant Children. After reading the poem, we discussed the beats, rhymes, and if there was any alliteration or repeated lines. Then, we charted them on the graphic organizer. I actually numbered each box and then numbered the lines to tell what was important about those words or phrases. Then, each pair of partners got a poetry book and chose a poem to read together and recorded the special words and phrases in the poem on their graphic organizers. They did pretty well, but I plan on practicing this more with different types of poems and giving them more independent practice as well. 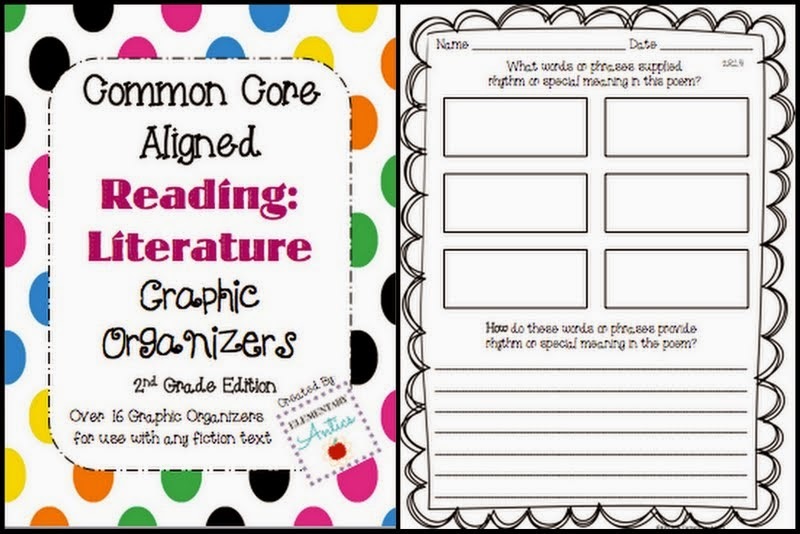 You can find a really similar graphic organizer to the one I used in my freebie sampler pack. I also just downloaded this awesome freebie from Tamara from Mrs. Russell's Room! (If you haven't checked her blog she has some fabulous ideas!) These January poems will be fantastic to use next week as we continue discussing poetry in my classroom. 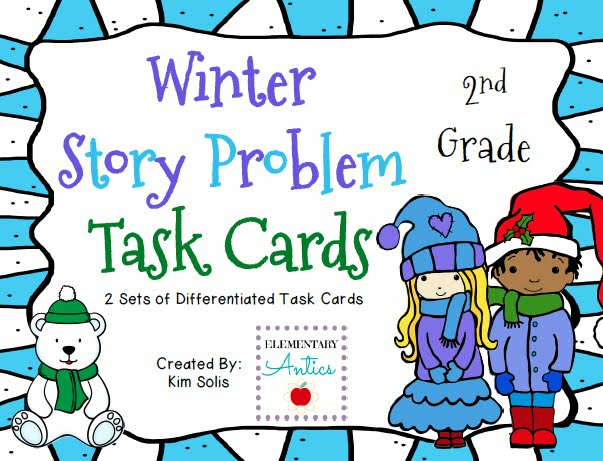 My Winter Story Problem Task Cards are perfect for centers or just for use in class for your kids. It includes 2 sets of addition and subtraction story problem task cards. Each set contains 12 story problems and a recording sheet. One set includes problems with and without regrouping. The second set include identical stories, but no regrouping- great for differentiation! 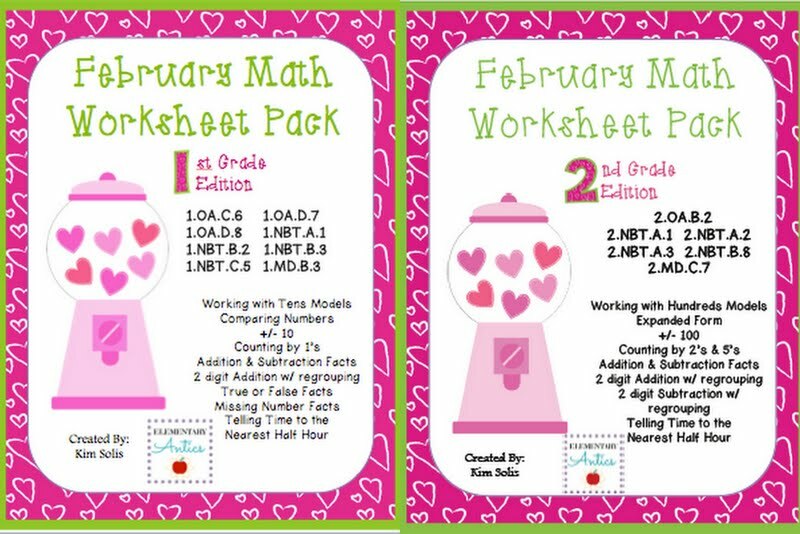 My February Math Worksheet Pack is out now too, so you can get ready for Valentine's Day early. I have a 1st Grade and 2nd Grade set available. These are great for review and practicing skills and are aligned to Common Core standards! And now I leave you with an adorable picture that shows the love of reading in our family! My brother, Uncle B, reading to my little guy. So cute!